Thank you for continuing this journey of The Gospel Project® for Kids. 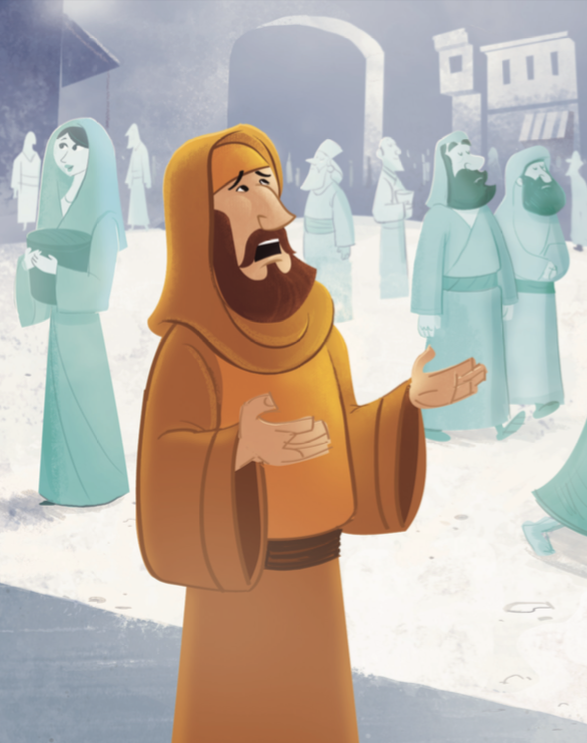 Today’s Bible story takes place during the early years of King Josiah’s reign, before he made his reforms. Zephaniah was a prophet to Judah during that time. Zephaniah prophesied about the Day of the Lord, when God will judge the world for its sin and Jesus Christ will return and make everything new. 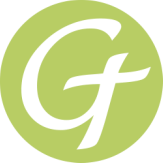 Zephaniah’s prophecies were intended to get the attention of Judah. Read Zephaniah 1:14-18. Who could ignore those types of descriptions? The Day of the Lord will be universal and intense. Zephaniah made a call to action: turn back to God. Zephaniah also described God’s promise of future restoration. A new day is coming—a day when God will bring us home. (Zephaniah 3:20) The new day dawned with Christ’s first coming, but will one day come in fullness. On the day that Jesus gathers His people and reigns in victory, this promise will ring true over us: “The Lord has removed your punishment; He has turned back your enemy. The King of Israel, Yahweh, is among you; you need no longer fear harm” (Zephaniah 3:15). The final Day of the Lord is coming. Do not ignore the warnings of Zephaniah. Respond to Zephaniah’s admonition: “Seek the Lord … Seek righteousness, seek humility; perhaps you will be concealed on the day of the Lord’s anger” (Zephaniah 2:3). If you are in Christ, you will be concealed from the Lord’s anger and experience the joy of a new day. We can look forward to and prepare for that new day. (See 2 Peter 3:13-14.) Jesus will be among us, a warrior who saves. “He will rejoice over you with gladness. He will bring you quietness with His love. He will delight in you with shouts of joy” (Zephaniah 3:17). When young Josiah was king of Judah, God gave a message to a prophet named Zephaniah (ZEF uh NIGH uh). God’s message was about something that would happen in the future. 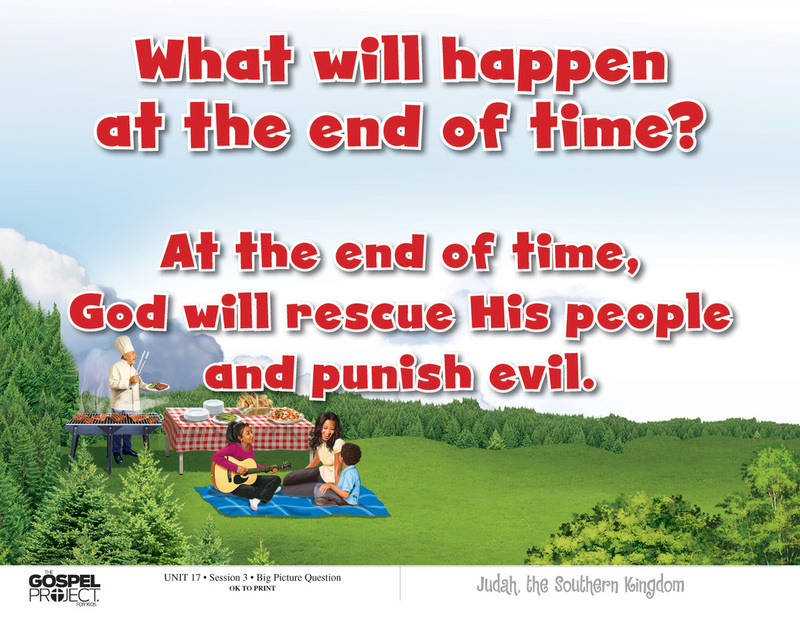 A day is coming called “the Day of the Lord.” On that day, God is going to punish people for their sin. “I will destroy everything on earth,” God said. “I will remove all people from the earth.” Zephaniah told God’s message to the people of Judah. Zephaniah told the people what an awful day the Day of the Lord will be: a day of wrath, a day of trouble, a day of destruction, a day of darkness, a day of clouds and blackness. The Lord will show His anger because everyone has sinned against Him. Zephaniah said that God would also judge the countries around Judah. The Philistines would lose their land, the Moabites and Ammonites would be destroyed. The people in Nineveh, the capital city of Assyria, would not be safe. Their city would be destroyed too. Would anyone be safe from God’s anger? Even the people in Jerusalem—the city of David—would be punished for their disobedience. God told the people what was coming so that they would learn a lesson. “I want you to fear Me and respect Me,” God said. Zephaniah told the people something that could give them hope. He said that when all these terrible punishments happen because of sin, God will keep safe the people who trust in Him. God promised restoration; He will fix everything, making it like new. “People who are kind and gentle, who are humble, will be safe.